How do you encourage your employees to go above and beyond for clients? How do you encourage a culture of kindness at your business? Often during the holiday season, we are reminded of the significance of giving back and being kind to one another. It is important that we do “extra” during this special time of year, but it is also important that we take the time to create a culture of kindness throughout the year. It has been said that those who witness others being generous and kind are more likely to be generous and kind, and those who witness others go above and beyond are more likely to go above and beyond as well. Since day one the founder of Goodbye Graffiti™, Perri Domm, has made creating a culture of generosity and kindness a priority at Goodbye Graffiti™. Within-day to day operations at Goodbye Graffiti™ Perri has built giving back into the business model. Every Goodbye Graffiti™ Office across the country offers free removal of hate and racist graffiti. In 2012 Perri partnered with Coast Mental Health to provide opportunities at our shops for individuals with employment barriers in returning to work. Perri has also worked hard to secure annual donations from all Goodbye Graffiti markets to The Eureka Camp Society benefitting children with invisible disabilities. From 2006-2016 Perri and Goodbye Graffiti™ staff spent summers in Tofino running a charity fishing program, selling guided fishing trips to benefit charities including; including Zero Ceiling, Fire Fighters, Camp Eureka, Animal Welfare and the Canucks Autism Network. In 2018 Perri Domm mandated Naloxone training for all staff. An afternoon was spent being educated on the importance of the life saving use of Naloxone. Every Goodbye Graffiti™ Vancouver technician now carries Naloxone on their person, and in the 10 months since training, 5 lives have been saved by our staff. In addition to making giving back a part of our business. Perri has also shown the example of giving back personally through his support of many different organizations over the years. The organizations have included: Whistler Adaptive Ski Program where he volunteers to train athletes with disabilities, The Whistler Animal Galore’s charity box donation program where his efforts raise thousands of dollars a month to benefit animals in need of support. In addition to Whistler Animal Galore’s coin box program, Perri and his family also support rescue dogs in their home, they currently have 4 rescue dogs as beloved pets. Moving into 2019/2020 Perri will establish The Spectrum Ranch to employ 20-30 autistic adults as a legacy project. 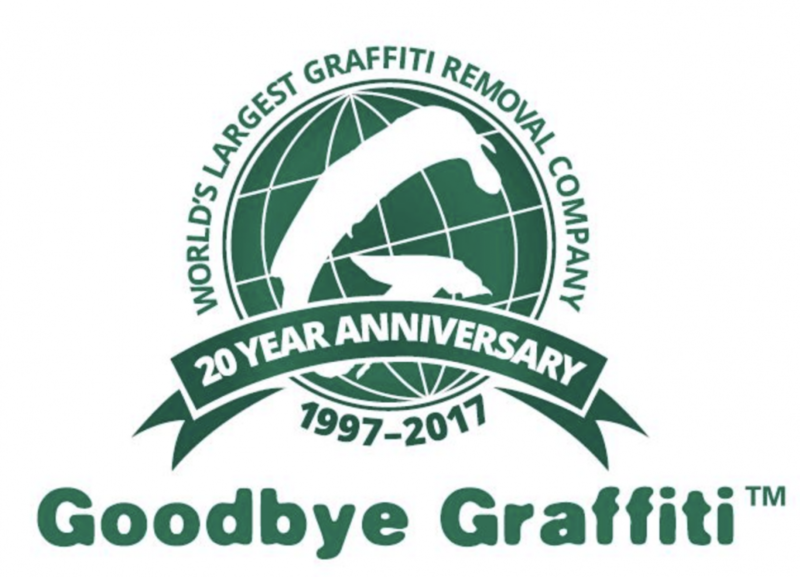 Finally looking ahead to the future of Goodbye Graffiti™, Perri is working closely with his staff to create succession plans to reward long-term employees who have worked hard to make Goodbye Graffiti™ the successful brand it is today. We encourage all within and outside of our network to look closely at what they can do to create a culture of kindness and generosity around them. Vice President Goodbye Graffiti™ Inc.